AC Marriage hall in chennai. Sri Ammanaa mahaall is fully centralized ac marriage hall seating capacity of 700 persons , Dining hall centralized ac capacity of 200 persons , 10 spacious ac rooms with bath attached, with one dormentory 100 persons can stay , lift , car parking available.marriage hall located in golden george nagar nearer to mogappiar east , west, Annnagar, Ammbattur, & Koyammbedu.contact 9282230380. 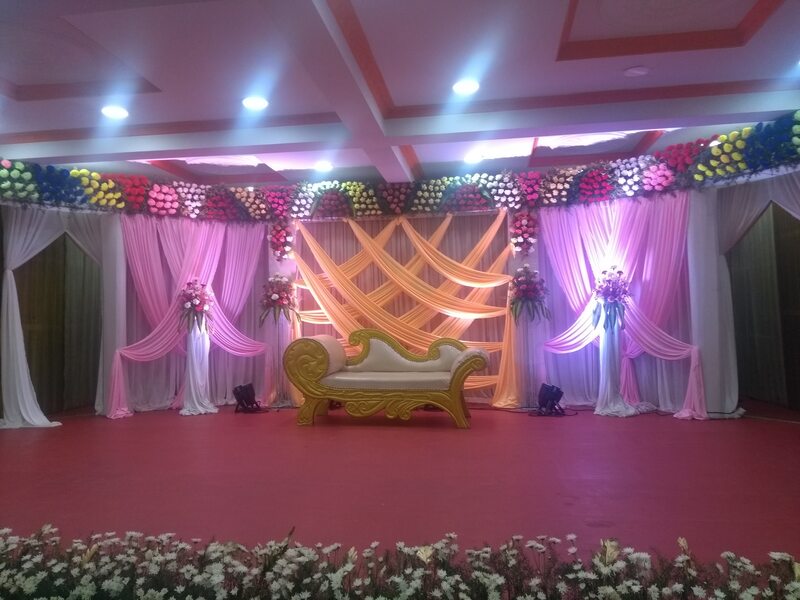 AC Marriage hall in Chennai: Sri Ammanaa Mahaall is located in Golden George Nagar in Mogappiar, Marriage hall is fully centralized AC seating capacity of 700 persons, Dining hall fully centralized a/c capacity of 200 persons, 10 a/c spacious rooms with bath attached, with one a/c Dormentory 100 persons can stay.Lift, car parking available. nearer to mogappiar west, Annnagar, Ambattur, & Koyambedu.please contact 9282230380. AC Marriage hall in chennai. Sri Ammanaa mahaall is fully centralized ac marriage hall seating capacity 700 persons& Centralized AC dining hall capacity of 200 persons, lift, car parking avilable., 10 ac spacious room with bath attached, with one big dormentory 100 persons can stay, Decorations for marriage& , Reception done by real flowers in a rich look by package. marriage hall located in golden george nagar nearer to mogappiar east, west, Annnagar, Ammbattur, & Koyambedu contact 9282230380. AC Marriage hall in chennai. Sri Ammanaa Mahaall is fully centralized ac marriage hall seating capacity of 700 persons, Dining hall centralized ac capacity of 200 persons , 10 ac spacious room with bath attached, along with one Dormentory 100 persons can stay.Lift , car parking available, Decorations are done by Real flowers both Manamadai, & Reception Functions.in a package.Marriage hall located in golden george nagar very nearer to mogappiar east, west, Annnagar, Ammbattur& Koyambedu, Maduravoyal .contact 9282230380. AC Marriage hall in chennai. Sri Ammanaa Mahaall is fully centralized ac hall seating capacity of 700 persons, Dining hall is fully centralized ac capacity of 200 persons, 10 AC spacious rooms with bath attached.along with one dormentory 100 persons can stay.lift , car parking avilable.Making decorations for Reception, Manamadai in origional flowers. marriage hall located in Golden george nagar nearer to mogappiar, Annnagar, East, west, Ammbattur, & Koyambedu.contact 9282230380.